Is it your intent to reproduce the entire edition here without offering comment or opinion. Personally, I would much rather you make a statement and support it with an excerpt. i have neither the time nor the interest to read post after post after post. I apologize for offending people by not joining discussion soon enough. It's encouraging to see people are, after reading you post, so eager to talk to you. And it's disappointing to hear that people won't pay attention to your post if you don't take time talk to them. Anyway, this is a historically significant book I'm sharing here, excerpts in this thread, the full chapters in anther. I have another blog titled" It's NOT political.It's biblical.It's Prophetical AND IT'S PERSONAL" elsewhere. An ancient Chinese saying:"You can't see the true face of a mountain when you are in the mountain". We are all in the mountain, but the author of the book is not. 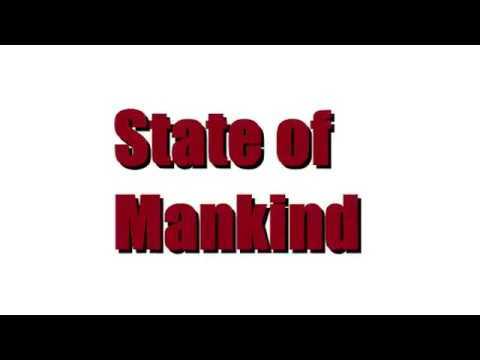 I titled the post "State Of Mankind",but when I first read the book, I was thinking mostly not mankind, but my own human-hood. Is there a way for mankind out of this mess we are currently in? If there is, it's not for mankind as a whole, but for each and every individual. Naturally, it would be a number, a percentage in the End. this is a discussion community. If you only quote chapters of a book, there isn’t anything to discuss. On my notepad, I have Nook, Kindle, and Apple Books... I don’t need this place as a resource for more reading. I come here to discuss and to argue. I doubt you're causing any offense. I haven't been offended by what you've posted. I agree with much of it and would have more to offer were you to take some parts & concepts from the writings you're posting and offer some thoughts on how they apply, or are illustrated in todays world. Tell us what makes you agree with what you're posting etc. By the way, I have some good books to recommend to you, I think you'd very much enjoy them. But it's better to read them, then cite some passages that illustrate why your views are correct. Last edited by Ellanjay; 12-27-2018, 06:08 AM.